The following is a statement issued by the Communist Party of Pakistan on the day of the murder of Governor Salmaan Taseer. The brutal murder of Mr. Salmaan Taseer, the governor of the Pakistani state of Punjab, is yet another substantial proof that the wrath of the Islamic religious fanatics endangers the lives of the common citizens of Pakistan, and leaves them far from peace. If a governor cannot speak up with freedom on the subject of human rights, or talk about religious tolerance, then just imagine, what will be the fatality of a common citizen of Pakistan? The Communist Party of Pakistan strongly condemns and denounces this audacious murder of the only liberal democrat and secular head of a province. The state of anarchy in Pakistan has prevailed and reached its peak, to such a point that Islamic religious political leaders issued Sharia edicts (fatwas), sanctioning in public the murder of Gov. 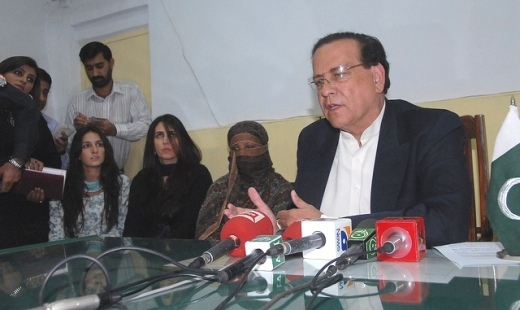 Taseer for his talk and condemnation of the misuse of blasphemy laws against minorities and others. But, ironically, the government functionaries could not apprehend these instigators of barbarism, because behind this whole game are the mighty iron hands of the military establishment, which has tactfully adopted, on one hand, the promotion and husbandry of Islamic religious fanaticism as a great profitable business, and on the other hand uses Islam as the basis for Pakistan’s very existence. The left and progressive, secular, democratic forces in Pakistan have been so weakened that it is just not possible to confront these maverick forces of jihad and fanaticism. The present government, which to a minor degree represents a liberal trend, has been paralyzed by these intransigent assassin forces of bigotry. 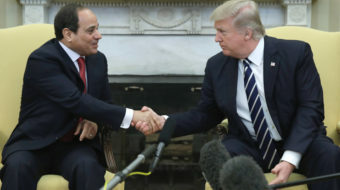 The right wing and religious political parties at times, upon the directives of the fostering military establishment, do create an environment of such chaos around the president, the prime minister and parliament that NO secular legislation can be adopted at all. CPP demands the ruling Pakistan Peoples Party and other democratic parliamentary parties work diligently for the complete repeal of the notorious blasphemy law and apprehend and award due punishment to the political Islamic religious fanatic leaders for the public instigation of the murder of Taseer. CPP is deeply shocked and extends its heartfelt condolences to the bereaved family, his friends, comrades and the PPP.